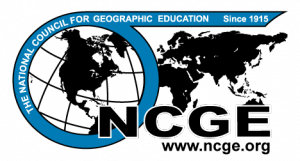 The National Council for Geographic Education is a non-profit organization, chartered in 1915 to enhance the status and quality of geography teaching and learning. NCGE supports geography teaching at all levels—from kindergarten through university. Our members include both U.S. and International teachers, professors, students, businesses, and others who support geographic education. Collaborate with other organizations that have similar goals.